According to IBIS industry reports, hydroponic crop farming falls under IBIS World Code of 11120, SIC Code of 0182, and NAICS code 111419. In 2010, the industry totaled $23.1 billion in revenue. Total profitability of the industry reached $3.5 billion. 7.8% of industry revenue was generated by the Mid-Atlantic States, which include Delaware, Maryland, New Jersey, New York, Pennsylvania, District of Columbia, Virginia, and West Virginia. From the years 2005 – 2010, the industry grew approximately 1.9%. Over the next five years, the industry is expected to grow an additional 1.1%. Since vegetables are a staple in the American diet, the hydroponic greenhouse farming industry has been one of the few that has shown stability during the recent economic whirlwind. Hydroponic greenhouse growers, in particular, have fared well over the last five years as their products are of higher quality and are available year-round. This allows them to demand a premium rate, and in turn, generate higher profits. While per-capita consumption has decreased over the last five years due to tightened consumer spending, the industry still experienced a growth of 1.9% during that time. IBISWorld Industry Reports reveal that drastic changes over the next five years are not anticipated for the vegetable farming industry and the outlook for new entrants trying to enter the market are optimistic. Industry revenue will continue to increase at an average rate of 1.1% annually reaching approximately $24 billion in 2015. According to the USDA, Americans need to increase their vegetable consumption by about 25% in order to meet health recommendations (USDA). Because greenhouse crops are immune to the effects of weather and are covered and protected from harsh conditions, greenhouse farms will be able to capitalize on the increase of vegetable consumption by Americans. 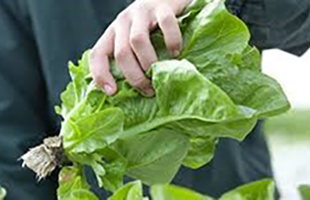 Moreover, increasing health awareness and population growth is expected to stimulate demand for hydroponic vegetables in the U.S. in the coming years. By growing more crops under cover in greenhouses, farmers will have the capabilities of providing fresh vegetables even through the cold winter months, when field production is typically lower. While the hydroponic crop farming industry may be relatively small compared to others in the agriculture sector, it is a critical driver of revenue in the industry. These crops are especially profitable because they are able to yield consistent high-quality products. This makes them ideal to sell on the fresh produce market and they are highly appreciated by customers. Compared to field-grown vegetables, greenhouse produced vegetables have seen more positive changes in revenues because their quality, year-round availability, and protection from unpredictable weather serves as a stable option for retailers in the market. Greenhouse-produced vegetables have been a significant contributor to the steady growth of the vegetable farming industry over the last five years and will continue to thrive in the future. LetUsConnect Farm will capitalize on the tremendous amounts of growth potential in the industry of hydroponic farming. The art of growing crops hydroponically has gained considerable attention over recent years and continues to establish itself as the preferred method of farming in the 21st century. To date, there are no existing hydroponic greenhouse businesses in the county of Montgomery. The most substantial barriers to entry into this industry are the capital investments associated with establishing a hydroponic greenhouse farm. Also, establishing brand reputability and contracts with buyers to sustain revenues is another hurdle that needs to be surmounted. The large initial capital investments often deter new entrants from participating in greenhouse vegetable production. The main drivers of a hydroponic farming business include stable production yields, quality, crop selection, and price. Consistently delivering all four of these components is required to succeed in the business. Neglecting any of these elements can be the difference between success and failure for a startup within the industry.